We all seem to have credit debt issues these days, particularly with the number of credit cards that are carried by adults in North American. I read a statistic that suggested that there are many credit cards in use in North American. So much so, that there are more than there are men, women and children that live on this continent. Every bank has multiple credit card products to offer to their customers to fit every lifestyle choice. Every major store chain has loyalty credit cards and every oil and gas company that sells gasoline has their own credit card as well. They are very convenient to have. No wonder we have such credit debt issues as a culture. The major difference between the store chain credit cards and the bank credit cards is that the store credit cards charge as much as 10% more than the banks do for their credit cards. 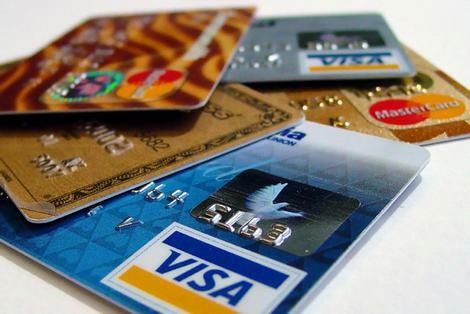 The banks are charging around 18% on unpaid balances for credit card debt, while the store chains with credit cards that are billed as loyalty cards are charging upwards of 28%. Every time you buy something at a store and do not use their credit card, you start getting the sales pitch. They offer free gifts, low interest rates for the first 6 months, even points towards air travel or hotel stays. These are great deals as long as you pay your balance each and every month. As soon as you leave a balance, that interest kicks in and now that great deal has become an expensive deal. Loyalty cards do have a lot of advantages. They often offer points towards travel or to the purchase of specific products and services. They sometimes offer free health coverage and travel coverage while travelling. Some will offer insurance on anything you purchase and they will double the regular warranty of whatever product warranty was on the item. These are all excellent benefits and many people take advantage of them every year. And really that is the important point. Only take a loyalty card if you can repay the balance each and every month and if it has something of benefit to you that you will actually use. Credit debt can be expensive especially at the high rates they charge and these charges can wipe out any advantage that you may have gained from the points or the insurance offered by the card. Look at all of the offerings and ask yourself whether you will really use these things to your advantage before you add another card. Credit rating calculations are actually very complex. The calculation is dependent on how much you owe, your history of meeting your payments, how often you apply for credit and how much unused credit there is available to you. Someone who has many credit cards, may find that their rating has dropped a bit due to all of the credit cars that carry and are shown against them. Every time you apply for another credit card, this is another potential debt and another claim against you. People have found that if they apply for several cards at the same time, their credit rating actually drops due to all of the applications and the potential for increased debt. First of all always pay all of your monthly payments on time every month for everything. Never miss a payment. Secondly most people will have a mortgage payment, a personal loan for the car, and perhaps two credit cards. With several years of meeting all of your obligations without fail, your credit rating should be in good shape. Consumers who have to debt and never had any including credit cards would actually have a poor credit rating since they do not have any history to show what kind of borrowers they are. Sometimes it is a good idea to borrow some money and pay it back every month just to establish a good credit rating. Consumers who have missed payments and owe a lot of money to credit card companies and lenders, will typically have a bad credit rating. With a bad credit rating it is much more difficult to obtain any kind of loan and if you do the lender will charge a higher interest rate to reflect the increased risk of the loan. Try to manage this and never go into debt unless there is no other choice.